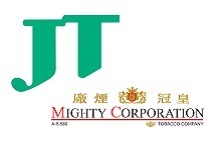 Global cigarette manufacturer Japan Tobacco has announced that it is buying Mighty Corp, the number two cigarette company in the Philippines, for 46.8 billion PHP ($936 million). According to executive vice president of Japan Tobacco, Mutsuo Iwai, “This major acquisition in Southeast Asia adds to our recently announced full-scale entry into Indonesia, and will further enhance our business base in the region”. In August, Japan Tobacco announced that it would take a 100% share in Karyadibya Mahardhika for $677 million, announcing that the acquisition would “give the JT Group immediate scale and presence on a nationwide level in the Indonesian kretek market”.